This week five women from the ancient Chinese Jewish community of Kaifeng made aliyah to Israel, aided by the Shavei Yisrael organization. Michael Freund, Founder and Chairman of Shavei Yisrael calls this Jewish history in the making. The Jewish community in Kaifeng has existed since the 7th or 8th century. Today there are about 1,000 residents of Kaifeng who are identifiable as descendants of the Jewish community via family trees. These new immigrants are among a growing number of young people who are looking to return to their Jewish roots. They are descendants of Sephardic Jews from Iraq or Persia who traveled along the silk route and settled in the city of Kaifeng which at the time was one of the imperial capitals of China. Their next step is studying at a religious womens' seminary preparing to undergo formal conversion by Israel's Chief Rabbinate. 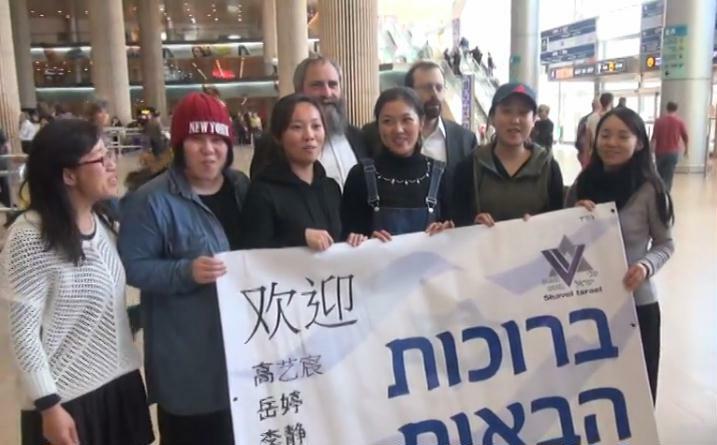 Watch as they describe their emotional landing in Israel, say the Shehecheyanu blessing, sing Hatikvah in Chinese, and pray at the Western Wall in Jerusalem. Beruchot Habaot. Yasher Koach to Shavei Israel and the organization that makes the dream of many possible. A Joke to Start the Week - "The Golden Years"
A Joke to Start the Week - "Emissions"
A Joke to Start the Week: "When Does Life Begin?"